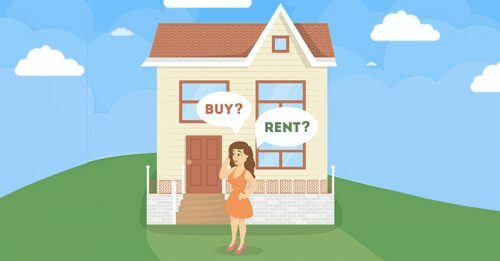 Why would someone write an article on buying versus renting a home? What’s in it for the author of the article? These are all good questions to ask yourself if you find yourself reading an article on whether it makes more sense to buy a home, or rent a house. When renting you’re just paying someone else’s mortgage. You’re throwing your money away when you rent. You have nothing to show for it. If you buy, you’re building equity. Many of the richest people built their wealth through real estate. Real estate is a great long-term investment. Values always go up in the long-term. When you rent, you aren’t tied down to an area. You have freedom. You aren’t responsible for the upkeep and maintenance when things break. Real estate values are not guaranteed to always go up. Your house could be less than you bought it for at times. So, make sure you find a great agent when you ask for an agent’s advice. Considering this is my article, of course it makes sense that I feel like I’m the best agent for you to talk to.